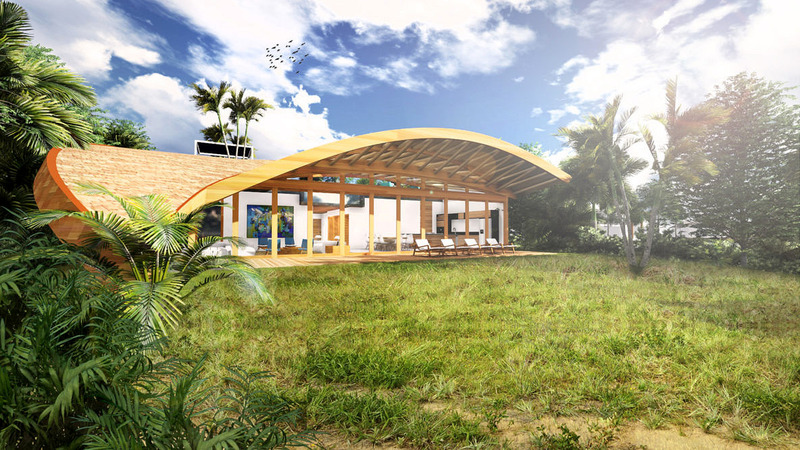 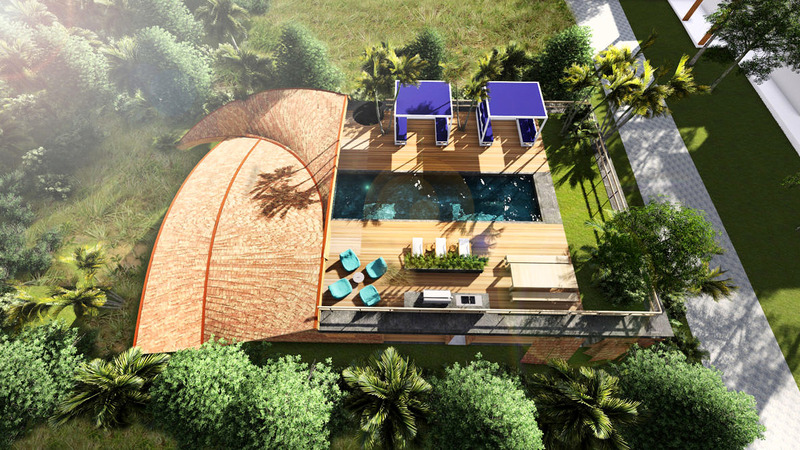 The houses in Trancoso were designed in grounds that have a beautiful view of Bahia’s coast. 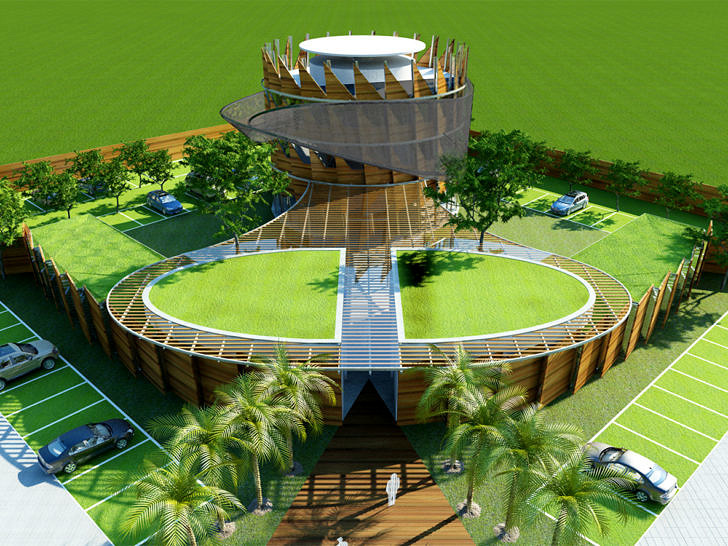 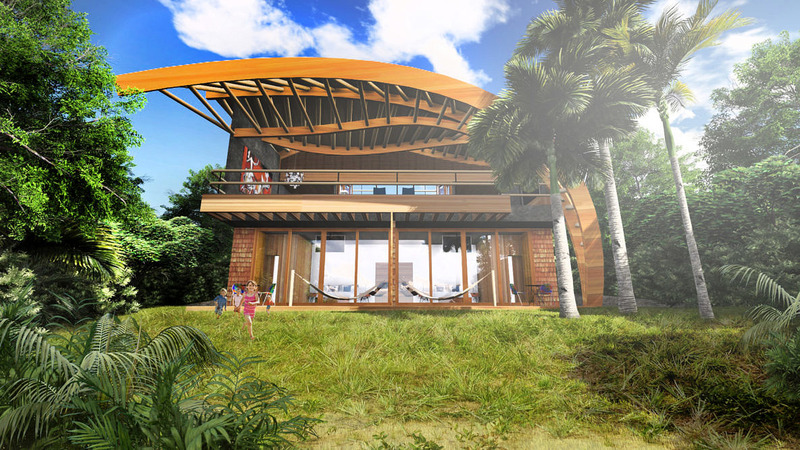 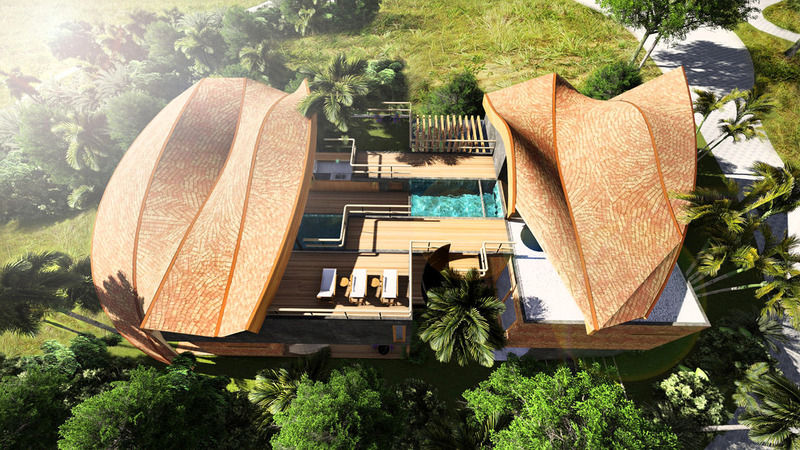 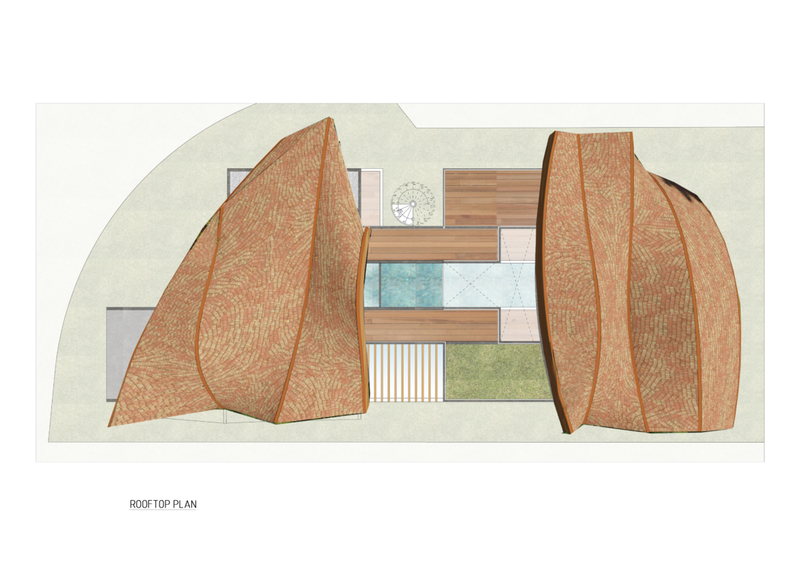 The projects were created for a hotel development with a piece of land reserved for the construction of 19 villas. 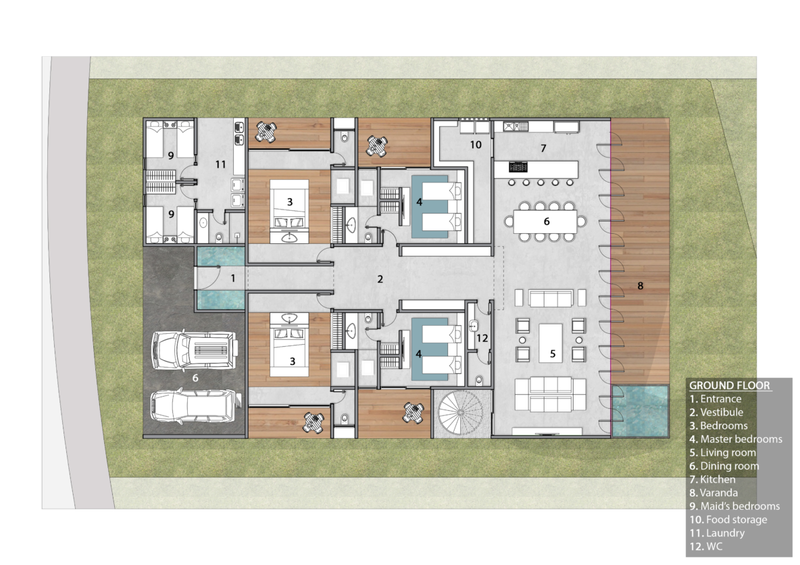 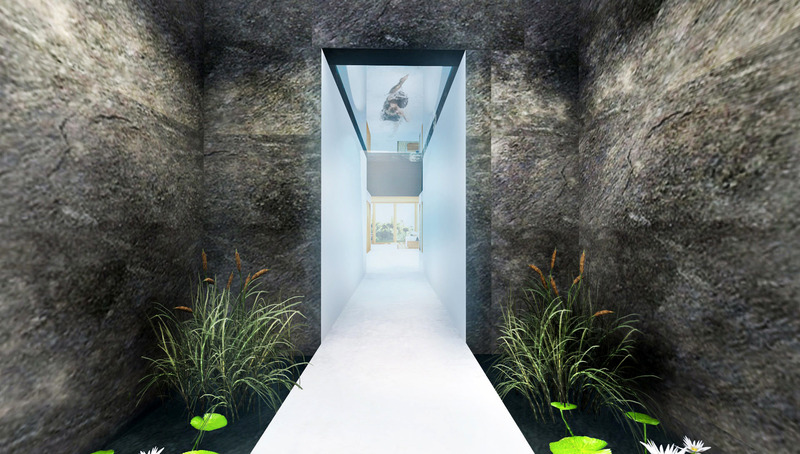 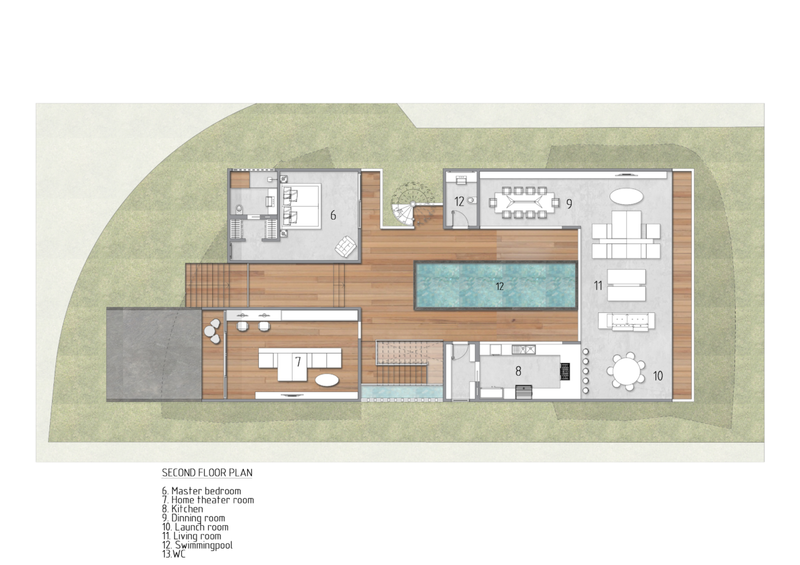 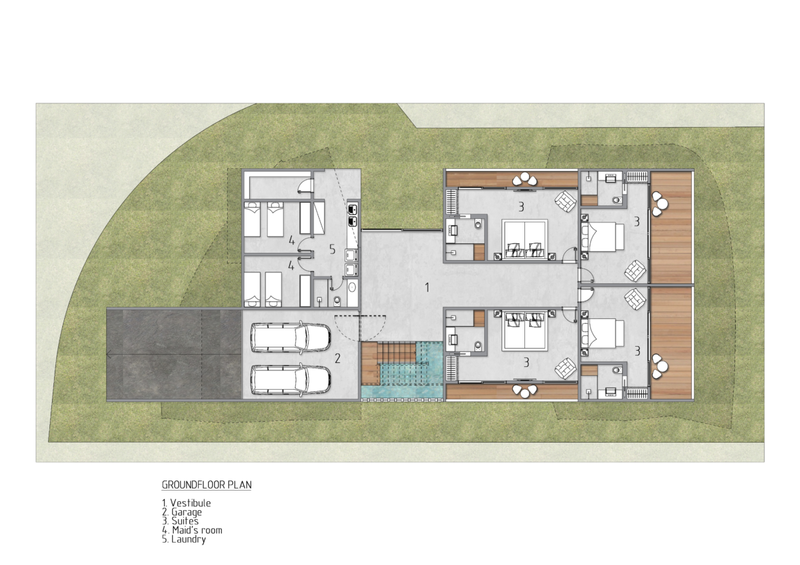 The idea was to create two houses with different areas (300 and 500 m2) so that the future owner can not only choose between the two but also adapt them to his needs. 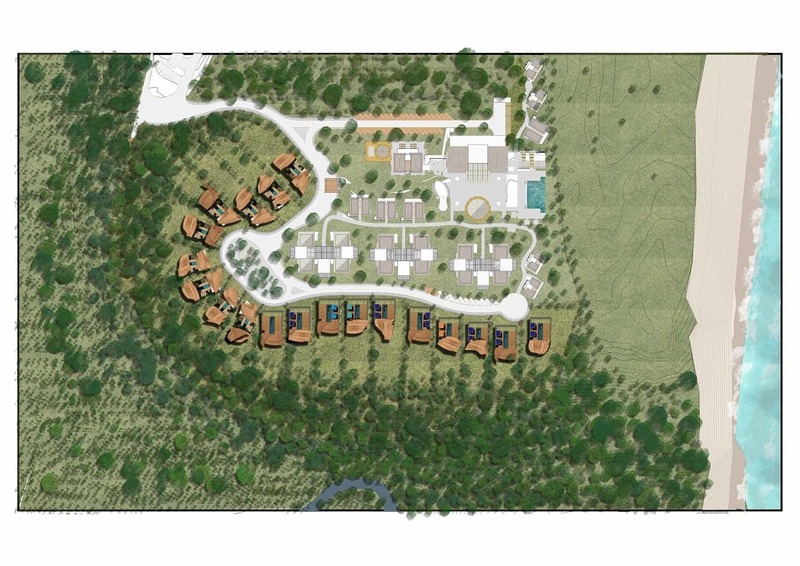 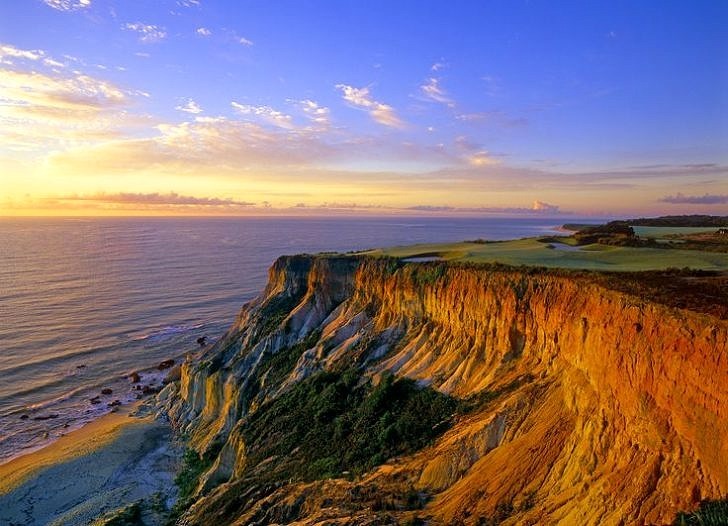 Eighty percent of the property’s land will be preserved, keeping its original topography and vegetation. 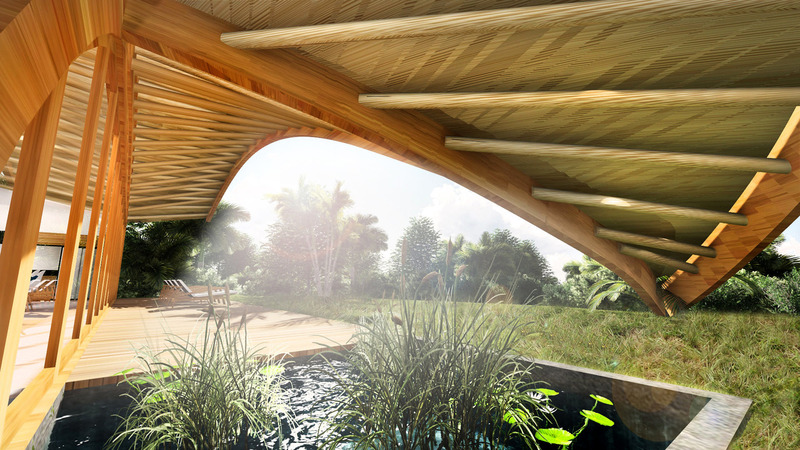 A partially covered terrace allows for a view of the landscape as well as the liberation of the preserved part of the land. 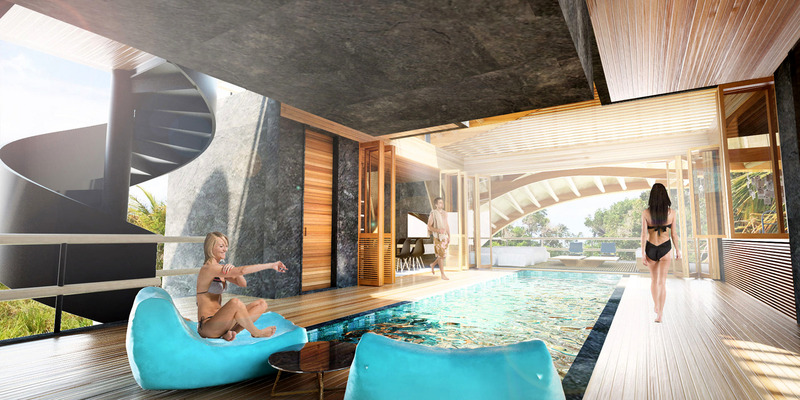 All the leisure was placed on this suspended veranda-terrace. 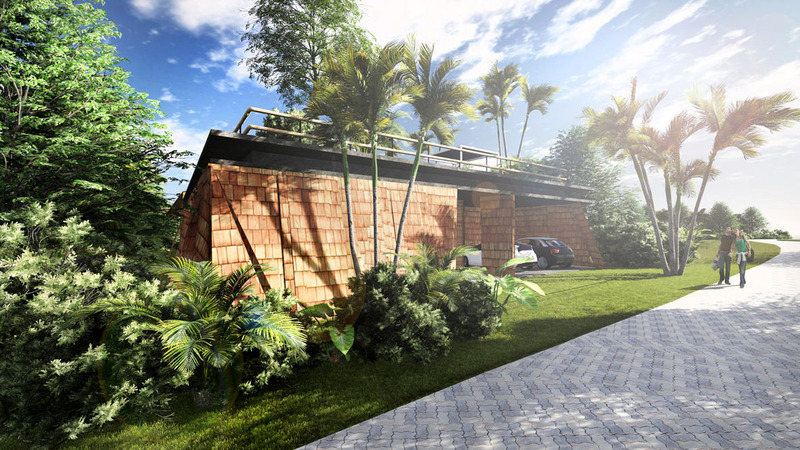 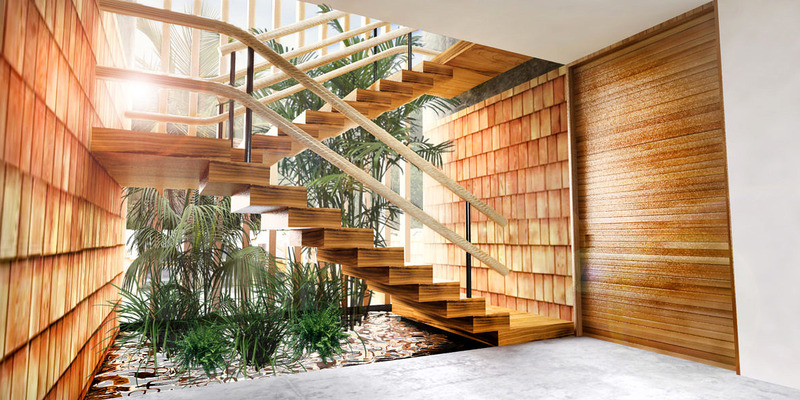 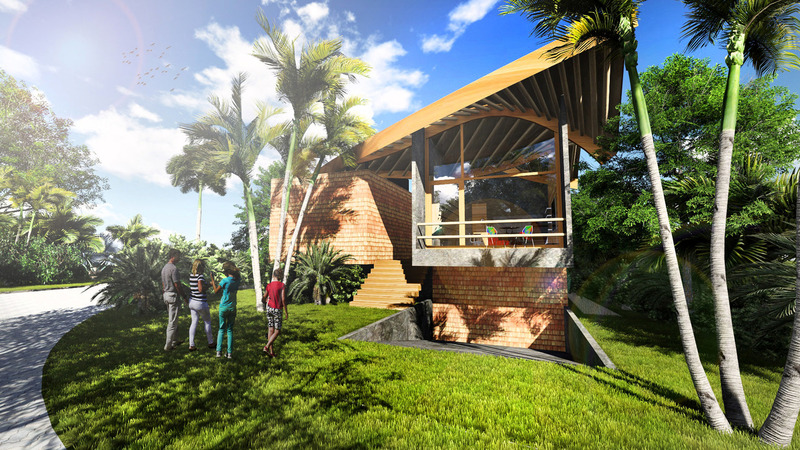 The local construction technique with round wood and wooden roof tiles was explored as much as possible composing not only the roof but also the residences’ external walls, evoking Trancoso’s reddish cliffs. 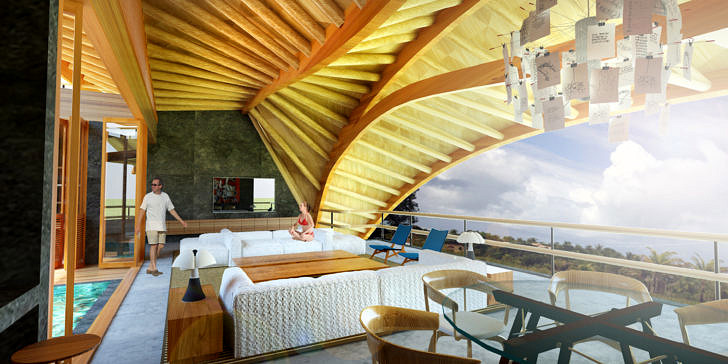 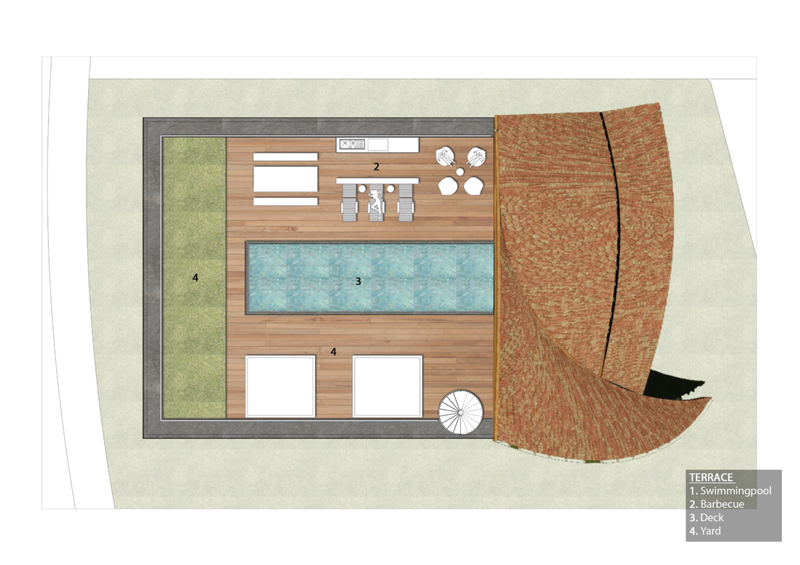 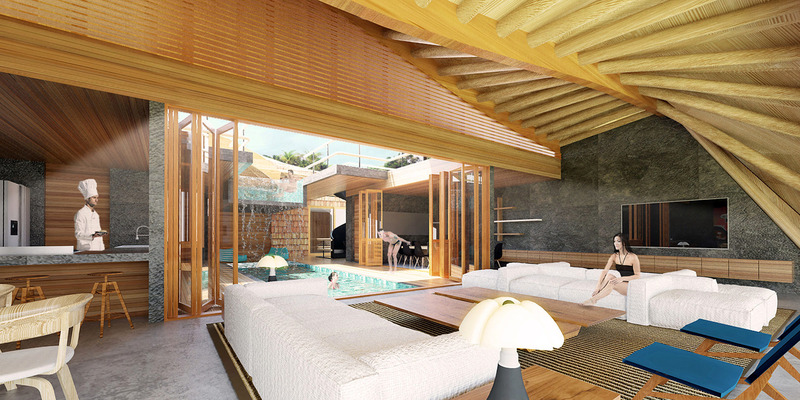 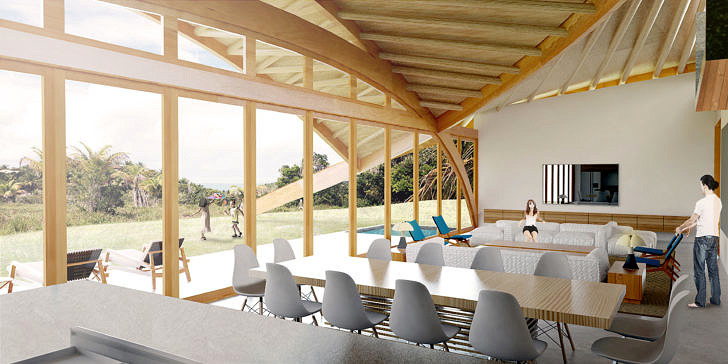 The organic design and natural materials increase the sense of belonging to the place. 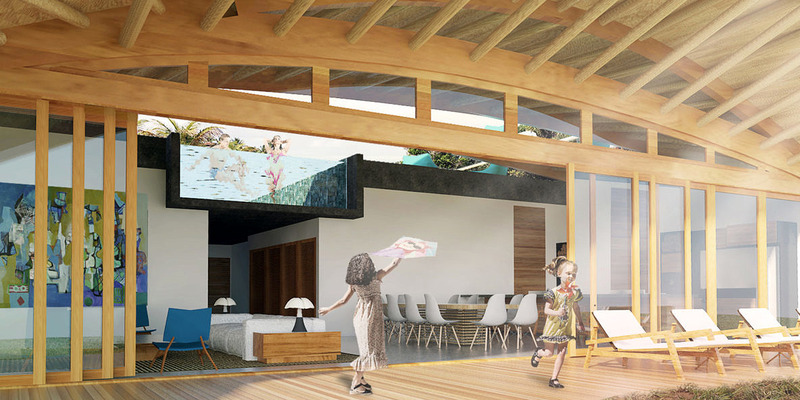 The pool water aims to ease harsh temperatures and organize circulations.